If it leads to their snake oil salesman CEO getting his marching orders from the shareholders then that would be great...but with billions in his bank account, it would be a somewhat pyrrhic victory. Forebode, EndRessentiment, psycros and 1 other person like this. Well, cryptocurrencies are the form of Ponzi scheme, that governments are reluctant to regulate. Until they do, it will wreck havoc on everybody's life (We all use computers after all?). 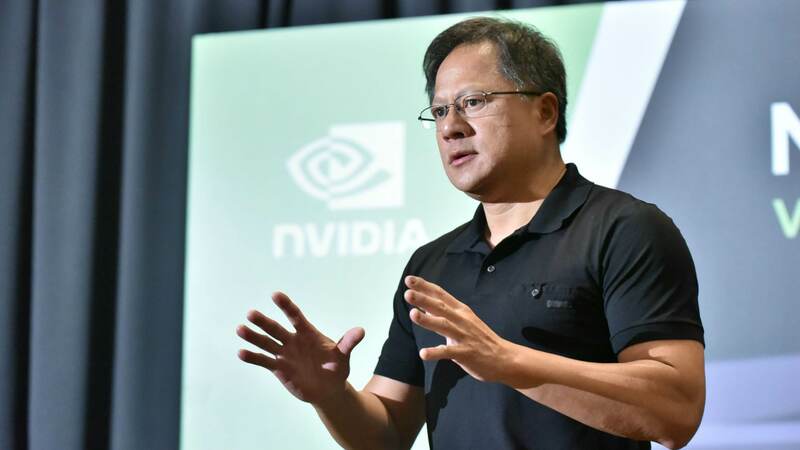 When It comes to nVidia and AMD, They couldn't go any other way, because They are kinda greedy in nature - They have to report better and better quarterly reports to Their investors to stay afloat. Non of Them would say "introduce some firmware/hardware tricks to make consumer cards counting of hashes impossible". Now, nGreedia is on a sleepery slope, cause being an "industry leader" (defacto monopolist), They overcharge consumers for Their own mistake. And consumers come to realisation that They are getting no bonus from new generation of product from Jenny. And none have lived happily ever after... End of story. MaitieS and JaredTheDragon like this. I mean yes, I believe it was Coreteks or AdoredTV that spent 5 min breaking down how Nvidia had clearly lied to its shareholders. They said "there is a fortnight boom! Pascal is the most popular series in gaming history!!!" When in reality half of them (or more!) were going to miners, and when it slowed down they put a gun up to vendors heads to take the extra stock. Even worse is that their deranged plan to overcharge for RTX in order to promote Pascal further has massively backfired - people think the RTX series is stupid, and they will at least until the next generation. The entire Nvidia midrange is a joke too now considering you can buy dozens of different post-mining cards on eBay for half the price of Nvidia's laughably overpriced 1060's that will maybe never go away. urbanman2004, MaitieS, EndRessentiment and 7 others like this. I've always thought Nvidia's business practices were criminal and devoid of ethics. Nobina, wiyosaya, MaitieS and 4 others like this. This is a great chance for AMD to push and bring back the competition back to the market. The prices of RTX and GPP are probably Nvidias solution to the revenue loss. I wonder if the current freesync support is some plot to distract the public. At least gamers got freesync support out of all this but enthusiast end up paying more to help Nvidia mitigate their losses. Purchased two RX 580s for $100 as christmas presents. It really is amazing the difference in price between the mid range and high end. Otherwise this current fiasco is one in a long line. Nvidia got caught lying, again. No surprise and it won't be the last time. wiyosaya, Stark and JaredTheDragon like this. Lol If anything AMD had already experienced the crypto crash before with their HD 7970 and r9 290/290x so they were a little more cautious this time around. Hopefully Nvidia learn their lesson this time. Well this explains why he snapped and talked $hit about AMD recently. I'm not saying AMD is perfect but as the tech years go by AMD seems to be the most honest underdog that doesn't lie/cheat. Yes before Lisa Su AMD PR were over promising some of their products. Stark and Evernessince like this. The problem with making these assertions is that you are ignoring the fact that Nvidia did not take 75% of the market. If you look at the average selling price during the craze you will see that AMD cards were inflated more. Just like you can see now the price of AMD cards are well below MSRP. The price of the 1060 are not even discounted. You would think that if the assertions were true the price of the 1060 would be on the floor. Anyone who did mining knows that the AMD cards actually we're better simply because they have raw horsepower. They may not out perform in games but mining needs more raw horsepower in which they excelled. Nvidia gained more gaming market share according to 3rd parties. They can't gain in gaming if they were also supplying crypto. The supply is not great enough. My feeling is that people stopped buying cards because a 1060 can play all games well. Why would you upgrade? This is why NVDA invented RTX, to have something new versus just more fps. This is a short term problem that unfortunately AMD is now even further behind then most people know. If anything AMD is lying now and the truth will catch up eventually. systemBuilder and ZackL04 like this. Actually it goes even further , the crypto algos were not implemented on NV cards till quite late in the day . Ppl liked them becoz they were more economical in power. AND BITMAIN AND OTHER asics had a biggish share. I believe they were forced to bring out the RTX early, simply to improve their revenue figures and before ray tracing performance was acceptable. The gov should ban any game that cannot be played on a gtx1050ti at 50FPS.. it will stop most of this upgrading wastage ... You all agree , yes? Yeah we will see. If you ask me it looks like the VII will barely lose to the 2080 in 1080p, tie in 1440p, and win in 4K. It will also come with an enormous amount of compute and VRAM for non-gaming (and gaming) tasks, and an excellent set of free games. That imo makes the VII a very worthy competitor to the 2080, and much better than what V64 was vs the 1080/1080 Ti. 1) If the VII responds as well to overclocking (or better) than V64. If this happens the VII will actually come somewhat close to the 2080 Ti after a good overclock (2080 basically gets nothing from overclocking). 2) How well the VII performs in 5K and even 8K gaming. Almost no one plays at these resolutions, but it would be fascinating if VII's extreme bandwidth allowed it to be an ok 5K@60Hz gaming card. Got an R9 290 for $200 after that boom went bust. Best value I've ever gotten out of a video card, LOL. AMD's marketing before Lisa was terrible. I'm happy she's curtailed it back. Yeah, Nvidia cards didn't start getting bought up until after the price of RX 580s shot up to $500 and higher. Nvidia only saw good crypto sales during the last 3rd of the boom. I'm just happy Vega VII is releasing close to the RTX series and not a year late. If it ends up matching the 2080 and comes with the free games I'd give it a slight edge. 16GB of VRAM and that extra compute horsepower likely mean that it will perform better down the road as well. Devs have slowly been adding more compute based effect into games. Previous gen Vega cards were great to tweak and you could see some very nice gains by undervolting and overclocking. Vega VII we will have to wait and see. U guys are fogetting the point that amd has no product to fight against a rtx card, so, nvidia can and should charge more. Why? Because not only are they more powerful than a Vega 64, they have more advanced features on top. If AMD lowered their prices NVidia would too. Remove the brand names from all the cards and just focus on performance teirs and the pricing would line right up with what we have been paying for years. The new 2060 is $350 and faster than a vega 56. A reference vega 56 is $299+, so why cant a 2060 be $350? Though the xx60 seems to be increasing in price....its not. Remember how much a 660 and 66ti were?? 2. People are losing money in the bear market. 4. Nothing is secret in blockchain, you can just look for whatever information you need. 5. Everything can be viewed in your trading account or the blockchain is totally transparent. 6. There is no issues at all if you are not using any fishy exchanges. Like Vega? Make some noise? 18 months late to match price and performance with GTX 1080? Pretty sure Lisa was AMD's CEO then. Oh also don't forget the blind test of Vega performance with GTX 1080 Ti. The whole Vega PR was terrible but AMD fans will absolutely blame NVIDIA instead. At least that lot responsible for Vega are now with Intel. The word is "linchpin", with an I. Not lynchpin. There was never any realistic way to be certain about cryptocurrency earnings.